Have you recently built or refurbished your veterinary practice? Are you proud of what you have achieved? Then you should enter the Design Awards 2019 and show how everyone why your practice’s design stands out. Dedicated to promoting excellence in veterinary practice and design, the BVHA's biannual Design awards competition has proved popular and successful over the years, attracting many innovative entries. Any practice that has completed a building project between June 1, 2017 and June 1, 2019 is eligible to enter the competition. In addition there will be the BVHA President’s Award for an outstanding innovation in the design of a specific area or feature of the practice in any of the above categories. To enter the competition you will need to submit the following information completed on the official entry form for the Design Awards 2019 which is available st the bottom of this page. The number of staff employed and their roles in the practice. 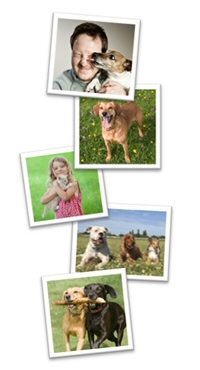 The areas of veterinary practice in which you are involved. No more than 15 before and after photographs your practice. A full size floor plan of the premises, preferably the architect's. Try to avoid errors in your entry. Putting together an entry can take time, use your time efficiently and avoid making mistakes that can hurt your entry, like missing information or photos. A list of the top entry mistakes in pdf format for printing can be found at the bottom of this article. After we receive your entry, our panel of veterinary hospital design experts will gather and pore over this year’s entries. A shortlist of finalists will be drawn up for the judges to visits. Based on this information the winners and runners up in each category will be selected. After the judges have chosen their winners, they be in touch with all of the entrants. In addition to the prizes in each category, the winners will be offered publicity about their project with the BVHA and Veterinary Practice magazine publications. You will also receive a commemorative plaque to place in your reception area, something sure to attract admiration from your clients. The prizes will be awarded at the Prize Giving Luncheon in London in early December 2019. Entries must be submitted no later than June 15, 2019 so it is time to start planning and organisation your entry now. 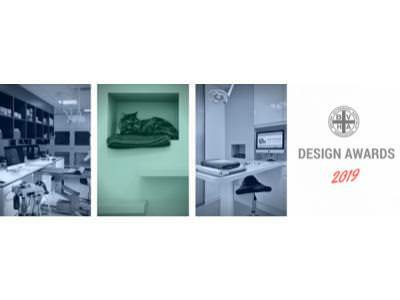 Information on what you need to do to submit an entry in the Design Awards 2019 competition. Avoid these pitfalls when preparing your entry to the Design Awards 2019 competition. you may wish to print this poster for your staff or reception rooms.